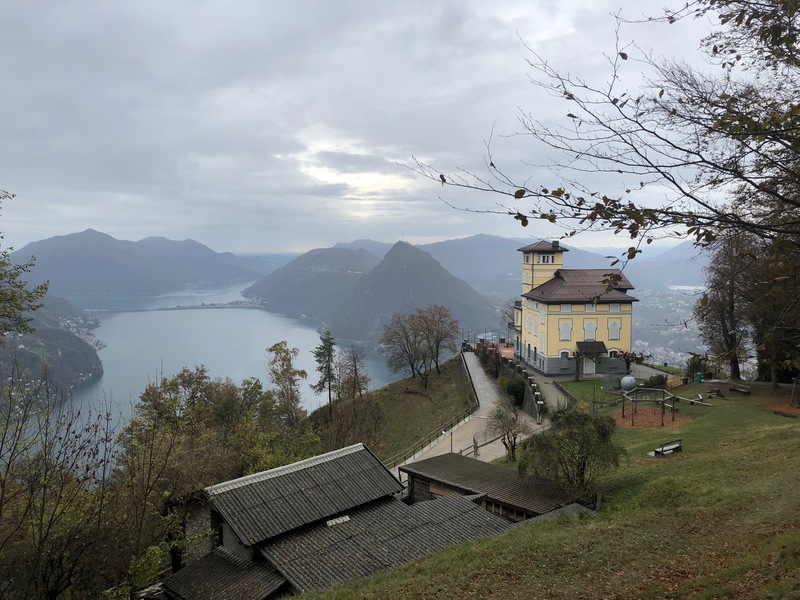 Some of us EMHIS members came together in wonderful Lugano on 31 October to 3 November for the 7th European Communication Conference (ECC). The conference had the overall theme “Centres and Peripheries: Communication, Research, Translation” and some 1 500 scholars attended. The Communication History section had a number of fine sessions. EMHIS members Sune Bechmann Pedersen, Marie Cronqvist, Hans-Ulrich Wagner and Philipp Seuferling were among the presenters. 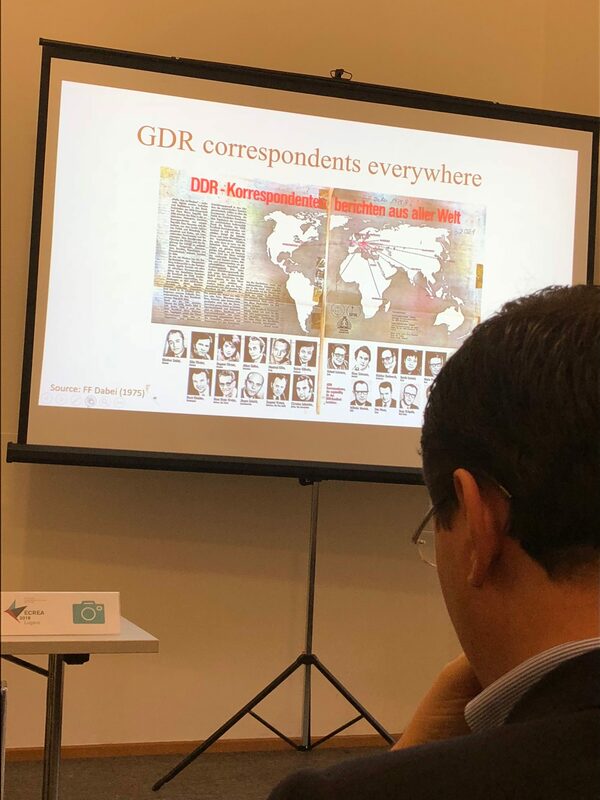 On Thursday, Sune presented his and Marie’s paper entitled “Foreign correspondents in the Cold War: Politics and everyday life of East German journalists abroad” in a journalism history panel chaired by Nelson Ribeiro. 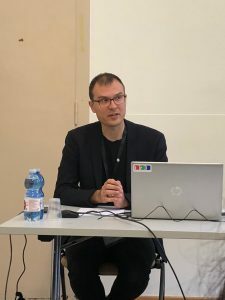 That same day, Hans-Ulrich also presented his paper “What happens with refugees’ stories and memories when they come to European immigration countries?” in a session panel on media and memory construction. 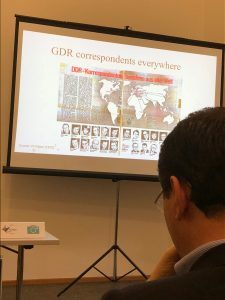 On Friday, Marie presented her work on East German radio with the paper “Conflicting scripts and shortwave listeners: Radio Berlin International (RBI) and its Swedish audience in the autumn of 1989”. And on Saturday, Philipp joined a panel on Mobile Socialities under the Audience and Reception Studies section. His paper was “Media practices among historical refugees”. 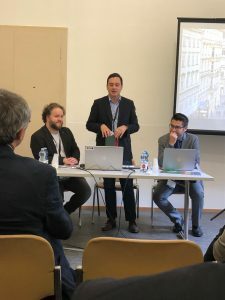 In the Business meeting on Thursday, EMHIS member Nelson Ribeiro stepped down from his post as section chair for Communication History section and his successor Gabriele Balbi and his team entered stage. Gabriele was also the main host for the whole ECREA conference, and he and his associates along with other staff and students did a great job arranging the whole thing. Christian Schwarzenegger, Nelson Ribeiro and Gabriele Balbi at the Communication History section business meeting. Even though it was raining, at times even heavily, the conference was indeed a success and we had a very good time socializing with other media historians as well as our colleagues in other areas of media and communication research. 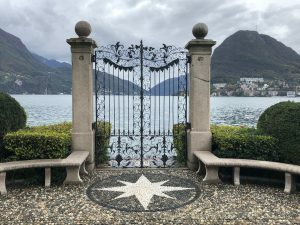 And even through the clouds, lake Lugano was stunningly beautiful. 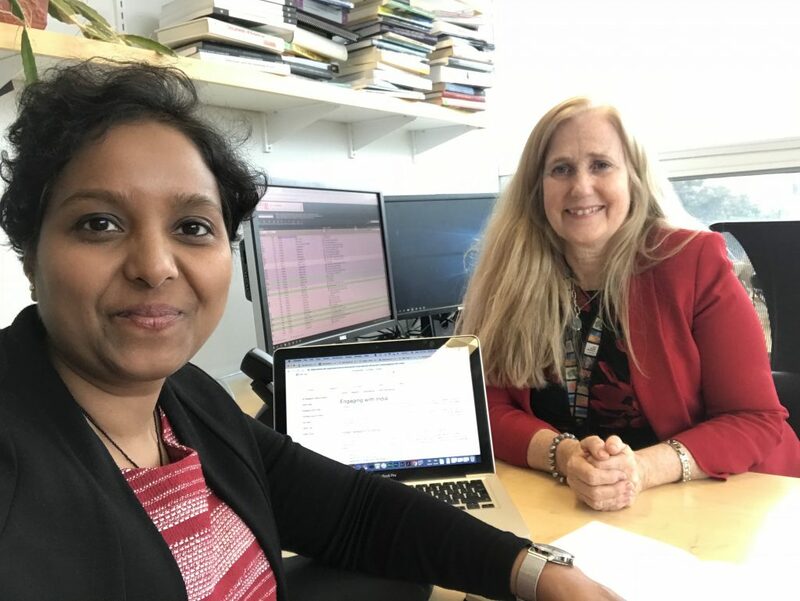 In October 2018, I visited York University, Canada to meet Dr Anne F. MacLennan, Associate Professor & Chair, York University, Canada, under the Bournemouth University’s Acorn Funds scheme for Early Career Researchers. The aim of this trip was to explore the possibility of developing a collaborative research project in the field of community radio for migrants in the UK and Canada. I spent a week in Canada to work on this task. As an outcome of this meeting, I am applying for the British Academy Small Research Grants 2018 as a main applicant, along with Dr Anne as a co-applicant. This proposed research project would examine the culture of radio catering to South Asian migrant communities in the UK and Canada. It will examine the changing culture of radio for the South Asian migrant communities in the UK and Canada by interrogating the surrounding questions of the existence and relevance of this medium. Theproposed research project focuses on ‘impact’ and is timely. EMHIS members at the Summer School in Luxembourg, from left Kristin Skoog, Gloria Khamkar, and Hans-Ulrich Wagner. A seminar room stuffed with fascinating old and still working radio sets and recording devices, two excursions to historic sites and buildings where transnational radio history took place, the production of podcasts, all this along with a series of papers by researchers from Chile to Russia, from Morocco to India. This made the Summer School “Transnational Radio History” a truly amazing and inspiring event. The Summer School took place at the “Centre for Contemporary and Digital History” (C2DH) at Luxembourg University from 18 to 22 June 2018. Professor Andreas Fickers along with PhD candidate Richard Legay hosted the event and three additional experts were also invited; one of them Professor Alexander Badenoch from Utrecht University, the other two Dr Kristin Skoog from Bournemouth University and Dr Hans-Ulrich Wagner from the Hans-Bredow-Institute at Universität Hamburg, both steering committee members of EMHIS. 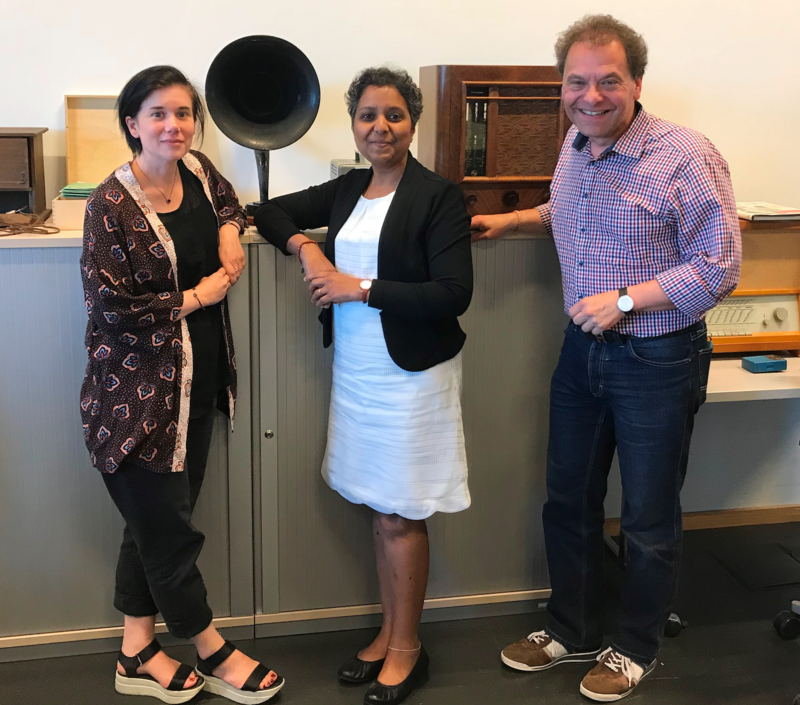 “Hands on history!” – Andreas Fickers, director of the C2DH, claimed and therefore one can say that “hands on transnational radio history” might be the headline of what international researchers in this field did during their stay in the Grand-Duchy of Luxembourg. The main objective of the Summer School was to explore the history of transnational radio in the twentieth century, with specific focus on the technical, material and architectural histories of radio, and also how to grasp cross-border histories when dealing with infrastructure and institutions, with aesthetics and communities of listeners. The objective was also to explore methodologies, archives and source material for doing transnational radio history, and the challenges that one, no doubt, will encounter. PhD candidates and Postdocs were invited to discuss their research in the field of transnational radio history. 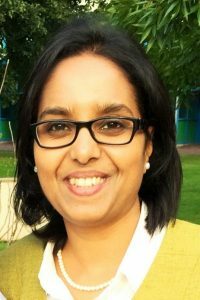 Among them was Dr Gloria Khamkar, a member of EMHIS Network at Bournemouth University. Gloria presented a paper on her doctoral research “The Evolution of British Asian Radio in England (1960-2004)” in a panel titled ‘Between the Local and the Global.’ Gloria discussed her source material and played an audio clip from one of the Asian radio programmes produced by the BBC Local Radio in Leicester in the 1970s. Gloria also shared an audio clip from her own weekly radio show Suhaana Safar, broadcast on Southampton’s (UK) Asian and ethnic radio station Unity101, which was a captivating listening experience. 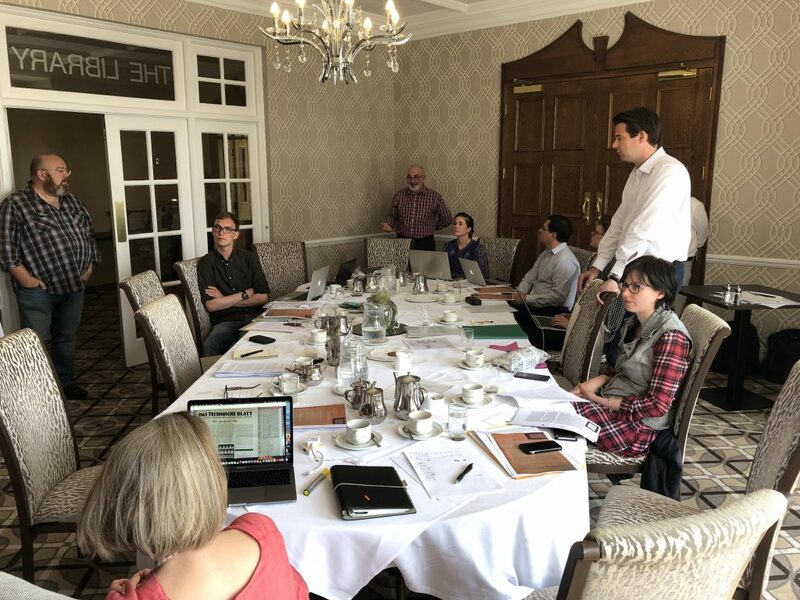 In planning the Summer School, Andreas, Richard, Kristin, Alec, and Hans-Ulrich were keen that the focus of the presentations and discussions would lie on the historical source material. The idea from the start was to encourage all participants to talk about a single document and this approach turned out to be quite fruitful. Kristin for example explored the intermedial and transnational entanglements of Radio Pictorial, a radio fan magazine published in the UK in the 1930s. Hans-Ulrich played a disk of 1931 staging urban maritime sounds of Hamburg as a port city, and put forward for discussion a four-step-model for analysing sound documents of the past. 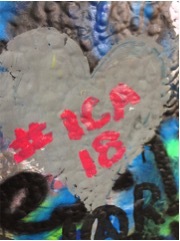 Additional highlights were the several excursions during this Summer School week. 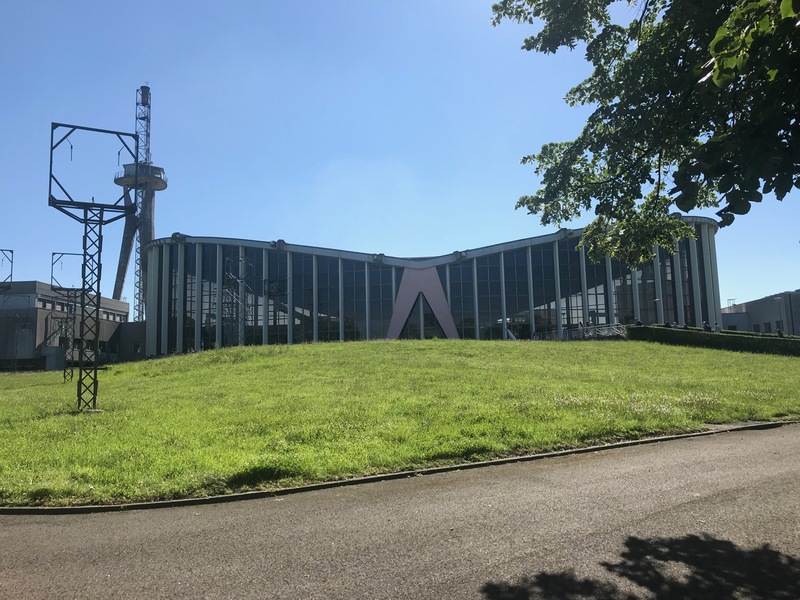 One afternoon the group visited the new studios and headquarter of the RTL Group as well as the transmitter site in Junglinster, from which Radio Luxembourg was transmitted. We also visited the Centre National de l’Audiovisuel in Dudelange where we learned more about Luxembourg’s audiovisual heritage and archival practices. The most striking trip took us to Berus, a village in the Saarland in Germany, to the transmitter site of Europe 1. This site was not only an architectural gem with its curved roof and glass panels (almost cathedral like) but also one with a rich and fascinating history. Master of Engineering Axel Böcker at the State Office for the Preservation of Historical Monuments gave an inspiring talk and tour of the building, and after lunch – served outside in the sunshine – the day continued with presentations by the Summer School participants as well as a Q&A with former engineers who had worked at the site. The day ended with a fantastic art performance by the Liquid Penguine ensemble. Overall a great variety of topics were discussed at the Summer School. 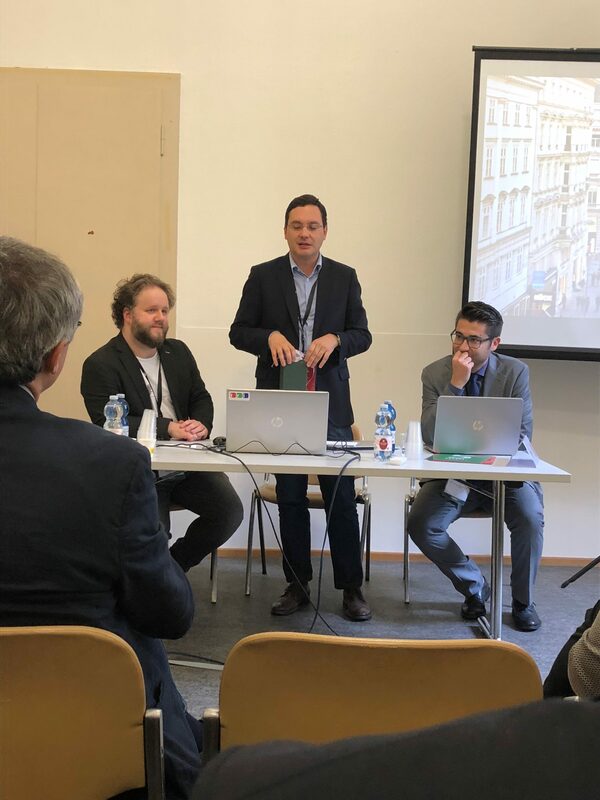 There were presentations by Dr Francisco Garrido (National Natural History Museum of Santiago) on “Modernizing a Nation: RCA VICTOR in Chile, 1928-1973”, by Dr Jose Emilio Perez (Université Paris-Sorbonne) on “The Origins of the Free Radio Movement in Madrid (1976-1989)”, byEddie Bohan (Independent broadcaster) on “Transnational Broadcasting from Ireland”, by Dr Joanna Walewska (University of Torun) and Dr Slawomir Wieczorek (University of Wroclaw) on “Radio Broadcasting in Silesia” after WWII and the “Soundscape of Breslau/Wroclaw in 1945”, by Maryam El Moumni (Universität Cottbus) on “The Cultural Significance of Telecommunication Heritage Sites” and many more. It was truly an enriching experience, with so much to take forward and so many ideas to digest. The concept of ‘entanglement’ proved to be a fruitful concept to work with when approaching transnational radio history. For example, to consider the entanglements of materiality, politics, people and networks, intermediality, and of course the transnational. To further consider radio as part of a media ensemble/repertoire. A call for more integrated histories was made as well as a call to collaborate – to do transnational radio history it is necessary to bring people with different languages, backgrounds, traditions and cultures together. A clear message emerged from Summer School: Transnational radio history is alive! 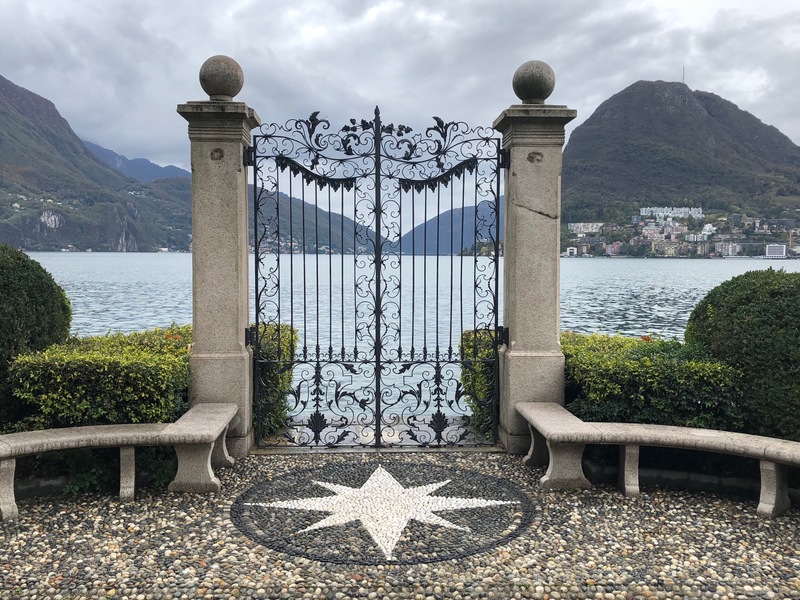 There has been a silence here on the blog regarding the EMHIS activities after our final conference in May, but believe it or not, the EMHIS network still exists! 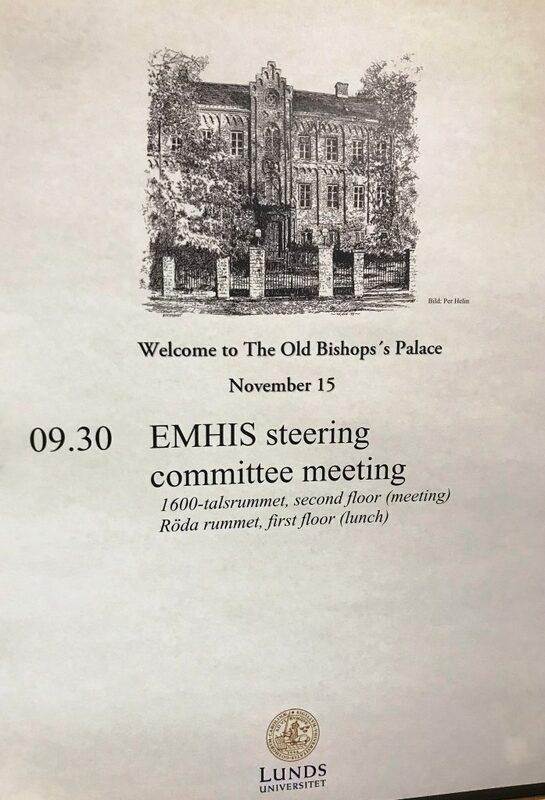 Last week, four of us members in the steering committee (Marie Cronqvist, Hans-Ulrich Wagner, Christoph Hilgert and Hugh Chignell) went back to “the conference scene of the crime” at The Old Bishop’s Palace in Lund in order to plan for a possible continuation of EMHIS beyond the STINT grant 2013–2017. The meeting was productive. Among other things, we decided to try to continue the network in different ways and we invite others to stay in contact with us via our different channels. The blog here will be updated, although a bit less frequently than Facebook and Twitter, with news regarding upcoming EMHIS conferences and other related things. 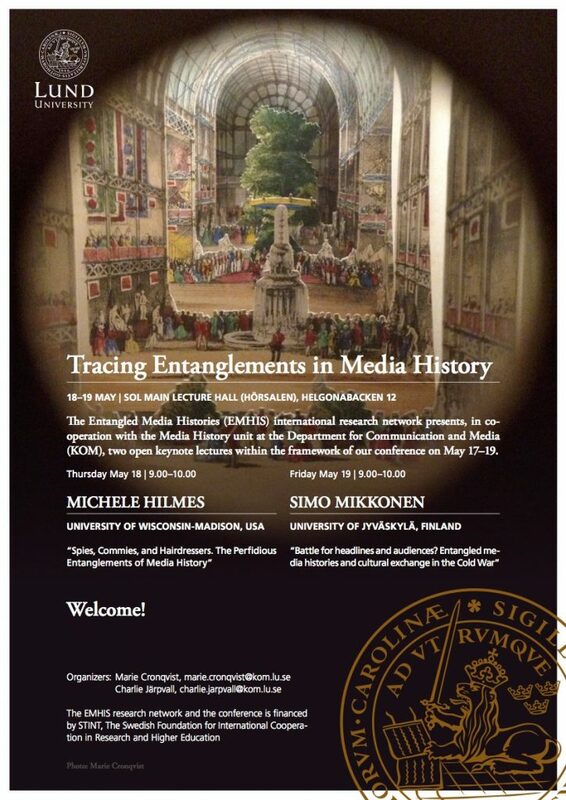 We are looking forward to staying in touch with everyone interested in tracing entanglements in media history. Two other well established scholars in the field, Professor Michele Hilmes and Professor Bridget Griffen-Foley, have kindly agreed to comment on our article. The very interesting comments could be found through the journal homepage once published in print. 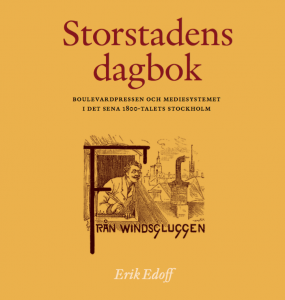 EMHIS-member Erik Edoff defended his thesis, Storstadens dagbok: Boulevardpressen och mediesystemet i det sena 1800-talets Stockholm [Big city diary: The boulevard press and the media system in late 19th century Stockholm] on November 11, at the Department of communication and media, Lund university. The dissertation examines a forgotten genre in Swedish press-history, the boulevard press. Edoff uses the concept of media system to analyse the media contexts of the boulevard press. The core of this approach is that all media forms are in various ways related to many other phenomena in society, including other media. The media system of the boulevard press consisted of relationships and dependencies to media like other newspapers, restaurants, cafés, wax museums, reprints, guide literature, theatres and variety shows. The study shows that these relationships were of economic nature as well as symbolic resources for the writers of the boulevard papers when Stockholm was described as a metropolis. The analysis underscores the journalists’ function as guides, as well as the city as a place for modernity. Two main perspectives are identified, associated with different journalistic roles adopted when describing the city. The reporter guided his readers in the tram around the city and on walkabouts among shops, thus stressing his own mobility. The other journalistic position was the overview of the columnist. His elevated perspective was an important attribute when the newspapers summarised and presented the big city as a whole. As a case point, the boulevard press underlines the importance of understanding the press, or any media, in the context of a broader media history. The dissertation makes a significant contribution to the media history of the press. In two upcoming research projects, Edoff will examine different aspects of the media geography of Swedish 19th century newspapers.